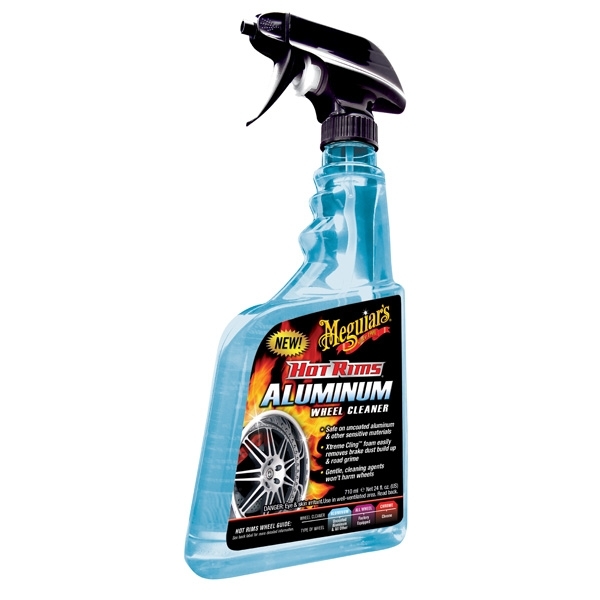 Meguiar's Hot Rims Aluminum Wheel Cleaner is the ultra-safe solution for cleaning uncoated aluminum. The specially designed formula is guaranteed safe for uncoated and polished aluminum wheels as well as anodized and powder-coated wheel surfaces – it’s even safe on all brake components. Meguiar's unique formula features Xtreme Cling foam technology that grabs vertical surfaces to deliver effective cleaning and gently remove brake dust and grime.